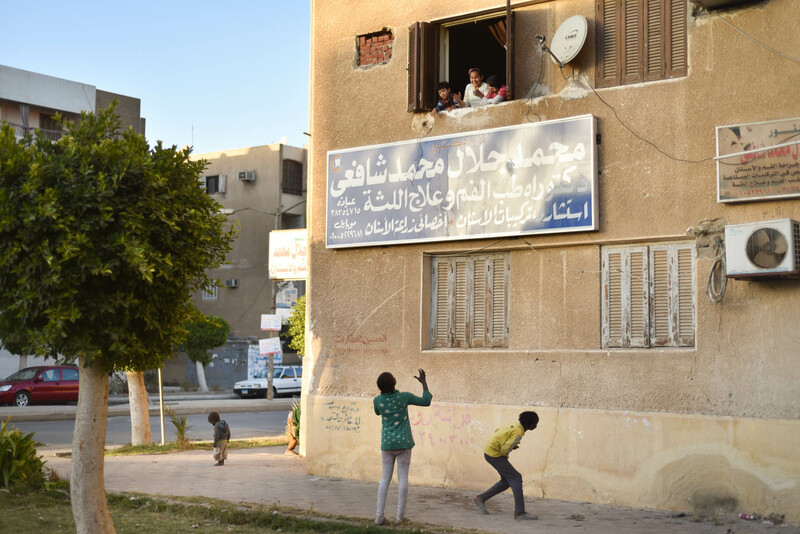 In 6th of October City’s Hay al-Sabea (7th district) neighborhood, where a number of Iraqi and Syrian restaurants and markets have flourished, one can also find the United Nations High Commissioner for Refugees building. 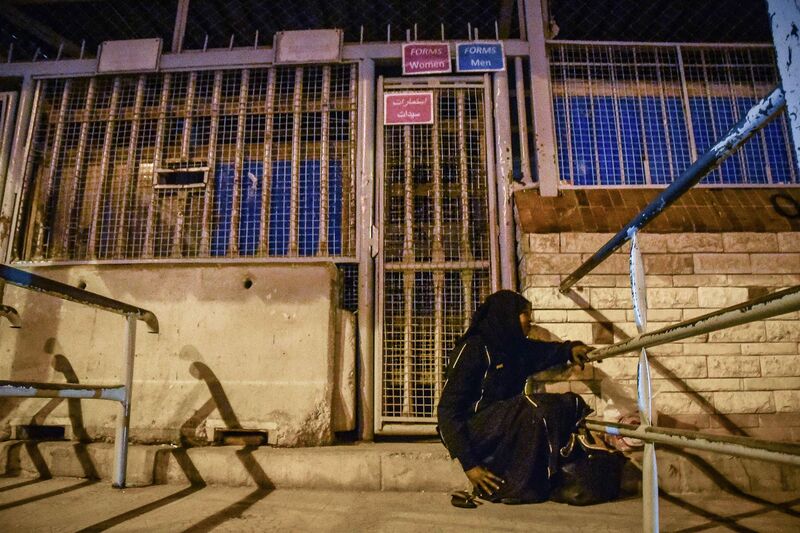 Dozens of people wait in line for hours outside its gates on weekday mornings. Across the street, in a small garden, men and women spread out various products on sheets to sell to the waiting crowds. The goods vary, ranging from pouches for UN refugee cards, to honey, incense and hair products from Sudan. There are also often police cars parked nearby. “They are here to make sure no one stays too long,” Saeeda explains. These days, after 5 pm, the garden is empty. 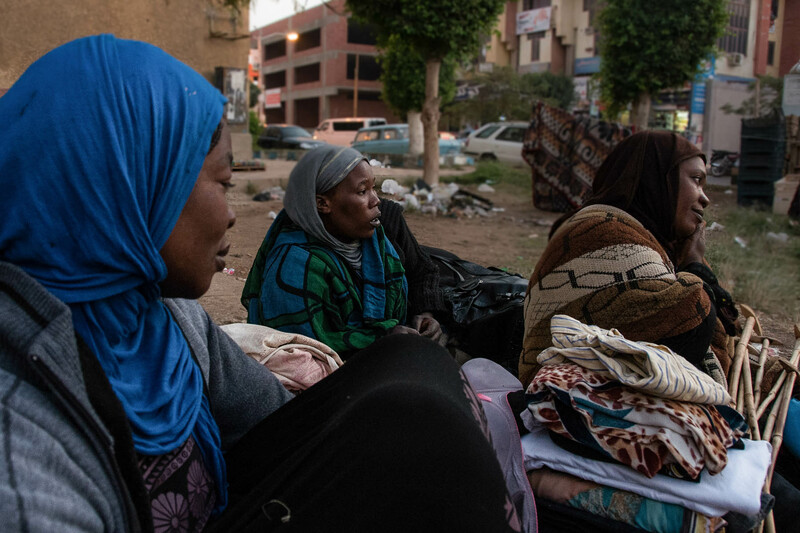 However, up until mid-February, Saeeda and her five children were among a group of people that had made the garden across from the UNHCR their temporary home, for lack of access to better housing. 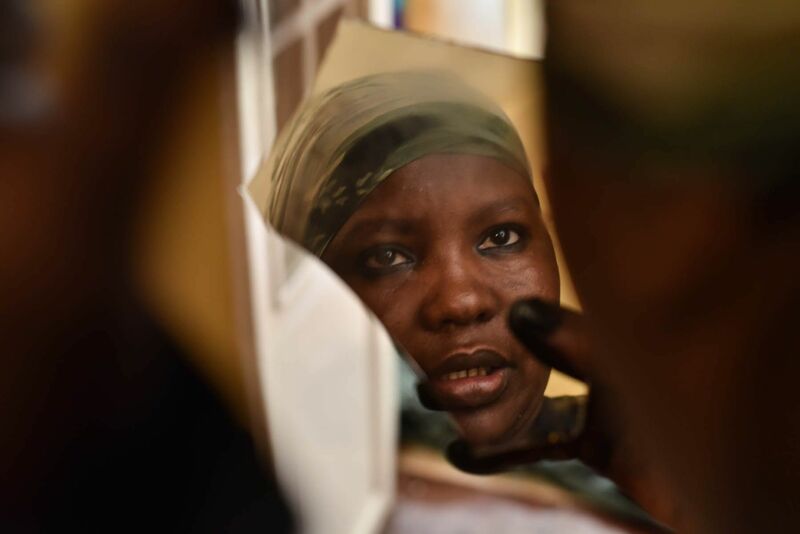 For over four months, she and her children shared the space with other women, men and children, who slept, cooked, ate, spent time together and went about their daily lives. 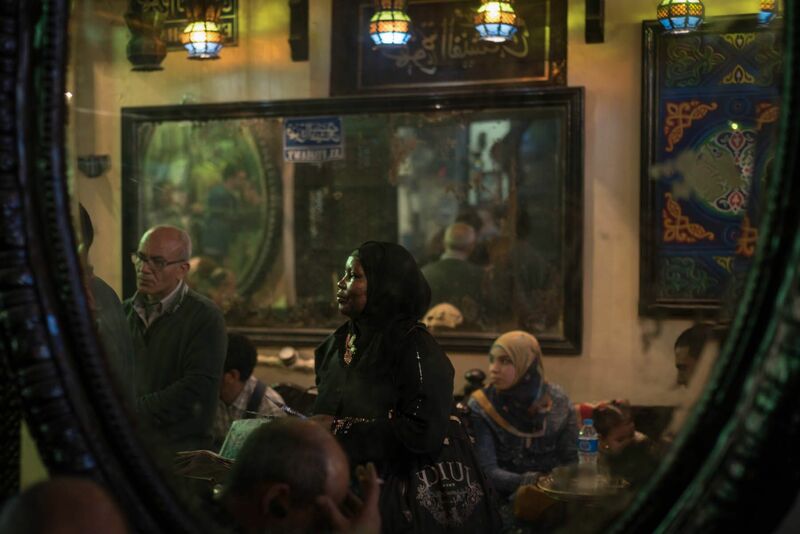 Most of them were Sudanese, although some were Somali or Eritrean, and have been in Egypt for different periods of time, each with their own experiences. 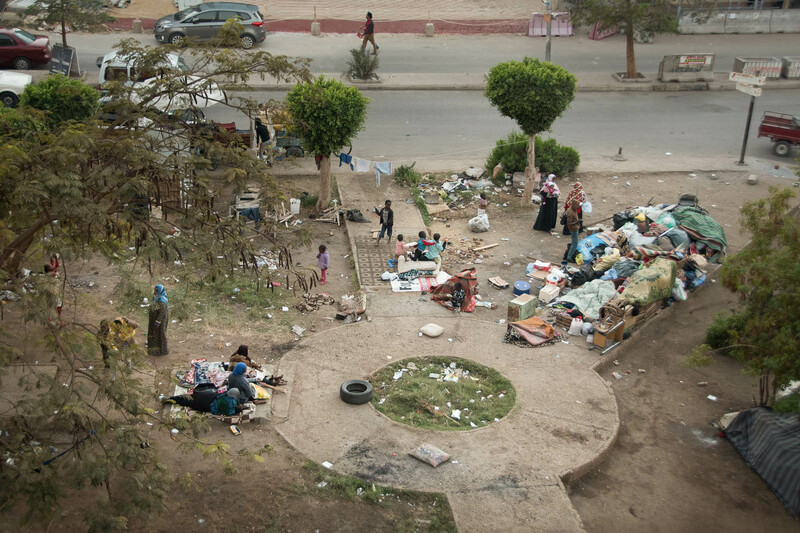 On February 13, 2017, police dispersed many of those in the garden, confiscating their belongings and arresting anyone who objected, as one of the refugees in the garden, Magdy, explains. 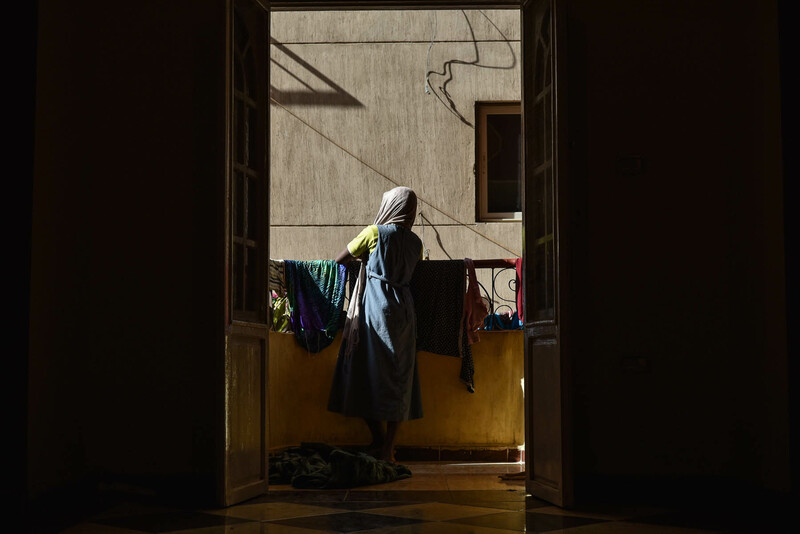 The next day, Saeeda left her children at a friend’s house and spent the entire day at the police station, located near the UNHCR, pleading with officers to give her back her belongings. They refused. 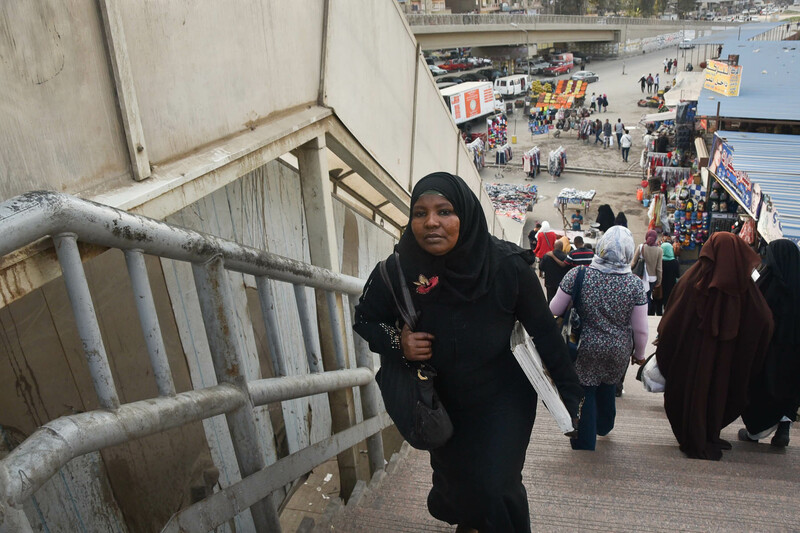 Since then, Saeeda has been moving between apartments, often staying with friends. For now, she has settled in Ard al-Lewa. To provide for her children she goes to Hussein Mosque every evening, where she works as a Henna artist. Some days are better than others, especially given that police do not always allow Sudanese henna artists to work in the area. Saeeda maintains a very busy work schedule. On a regular day, she spends the morning at the UNHCR office in 6th of October City. In the afternoon, she goes home to prepare food for her children on a makeshift stove. 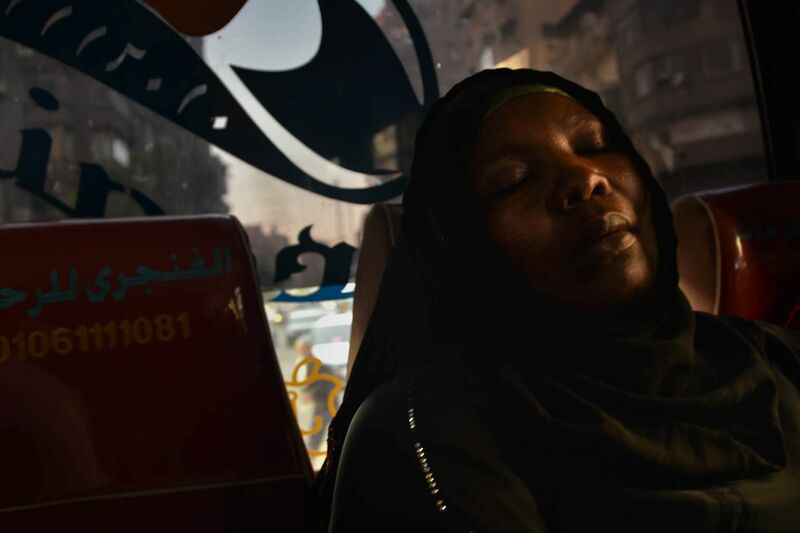 Then, she makes her way to Hussein Mosque for work, which she finishes between midnight and 3 am. 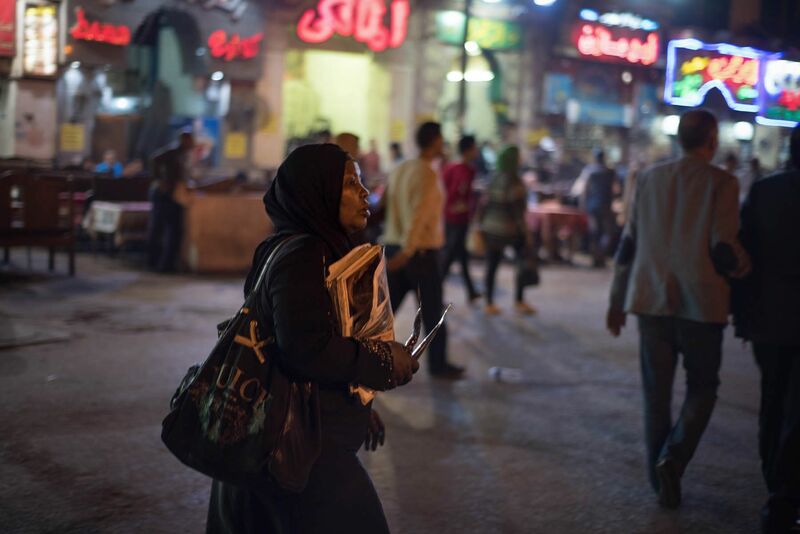 Saeeda walks around the cafes near Hussein Mosque looking for customers. If she finds a customer in a café, she has to share her money with the owners. 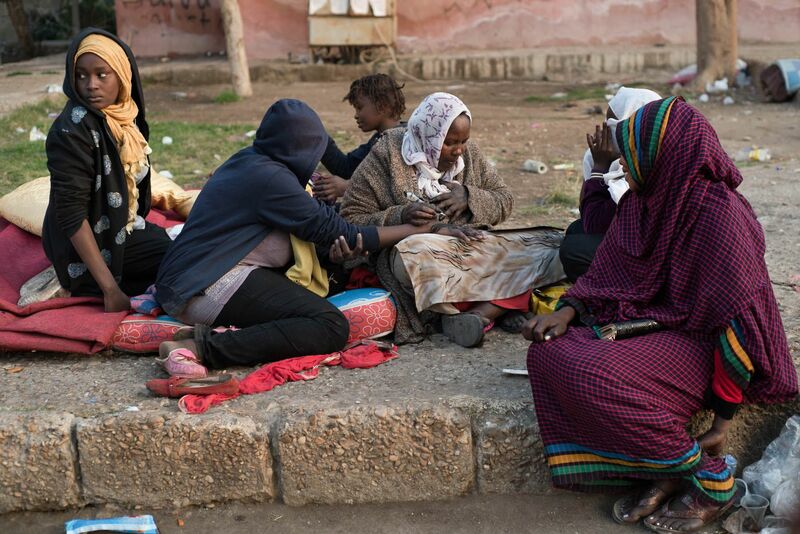 Dozens of other Sudanese women also do henna in the area. Some days the police force them to leave, arguing it is a tourist area and they don’t want street vendors. This is how the garden looked before the police came and dispersed those occupying it. Many stayed here for months until they found affordable apartments. However, even those who left often come back to spend time with people they know. 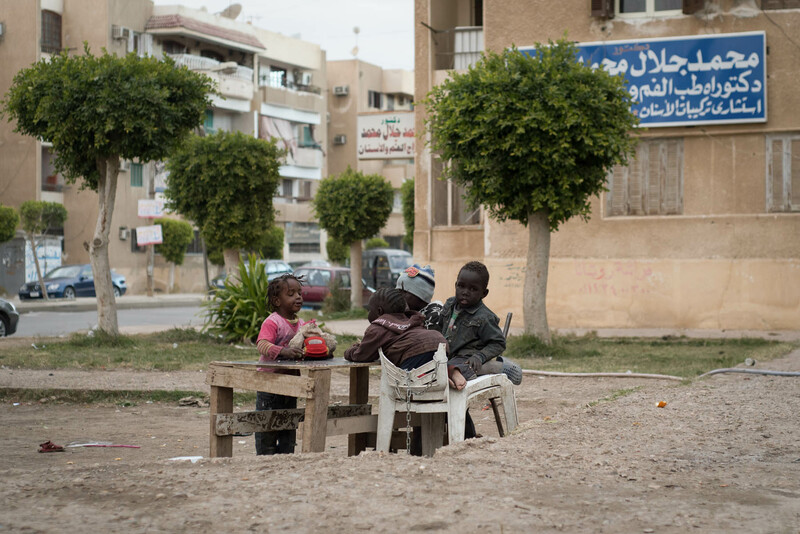 Saeeda usually leaves her children in the garden while she goes to work near Hussein Mosque. Nawal, Sara and Mona, all of whom lived in the garden at some point, sit together after folding laundry. Conversations often revolve around UN paperwork, food and their work experiences. 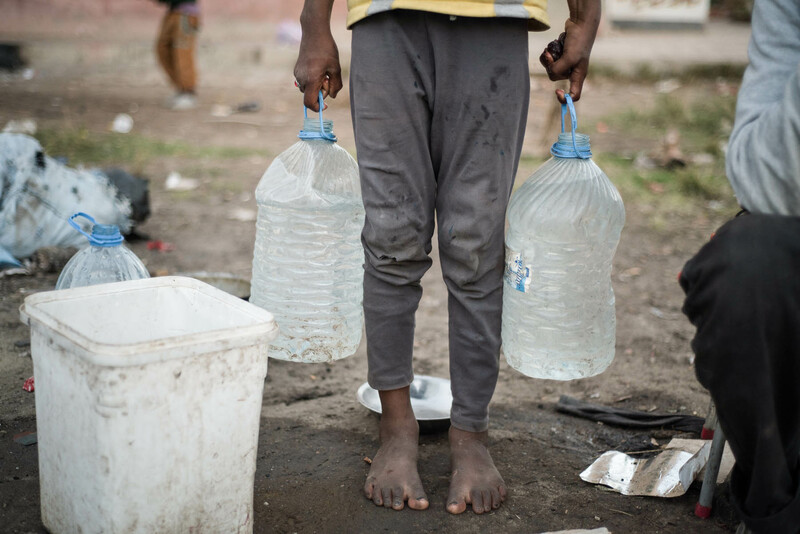 Those living in the garden fill their bottles from sprinklers in the absence of clean water. 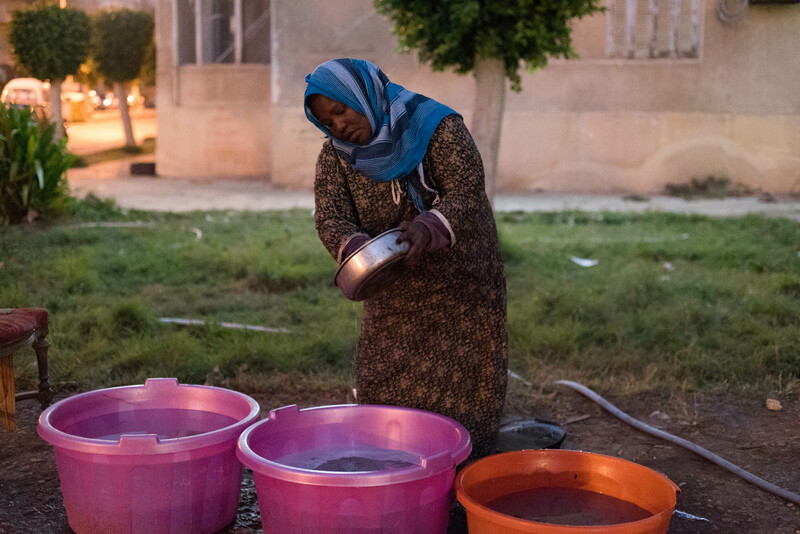 Saeeda washes dishes in buckets of water that have been collected, and prepares yoghurt and bread for her children to eat. Saeeda, Sara and Nawal’s children play together in the garden. Saeeda carries a binder full of henna designs to show customers. Nawal and Saeeda draw henna designs for the girls in the garden. They don’t go to work because the previous day police told them to leave and threatened to arrest them if they came back. One of the policemen yelled at them for “turning the place into the Sudanese embassy,” Nawal says. Nawal, who is also a single mother to two children, has to spend a lot of time waiting to make appointments with UNHCR employees. 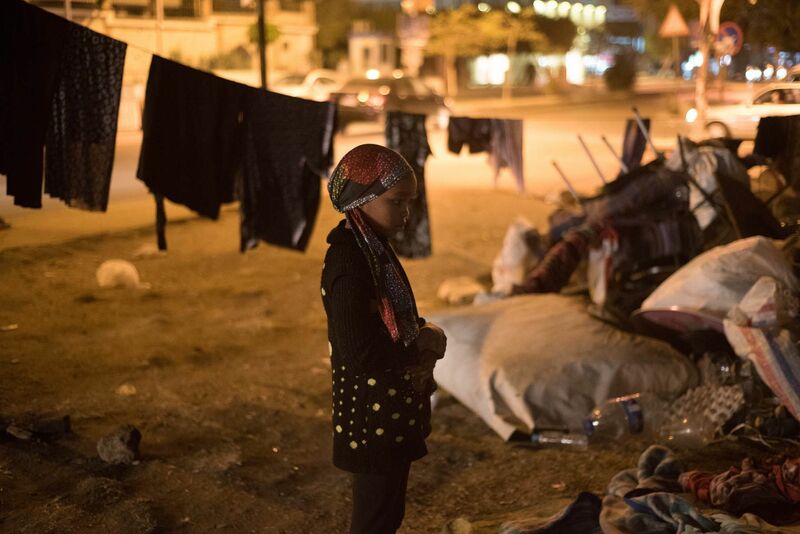 Many of the refugees who live far away, in Madinet Nasr or Maadi, find it easier to spend the night in front of the building rather than leave and come back on a daily basis. 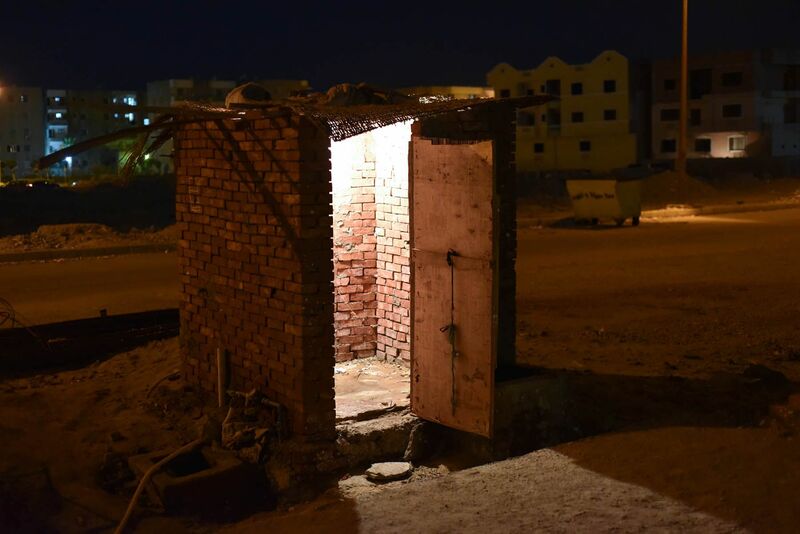 Many people walk to a construction site behind the UNHCR headquarters in order to go to the bathroom. Some local residents spoke of their frustrations that the refugees were “taking over the garden” and reported them to the police. 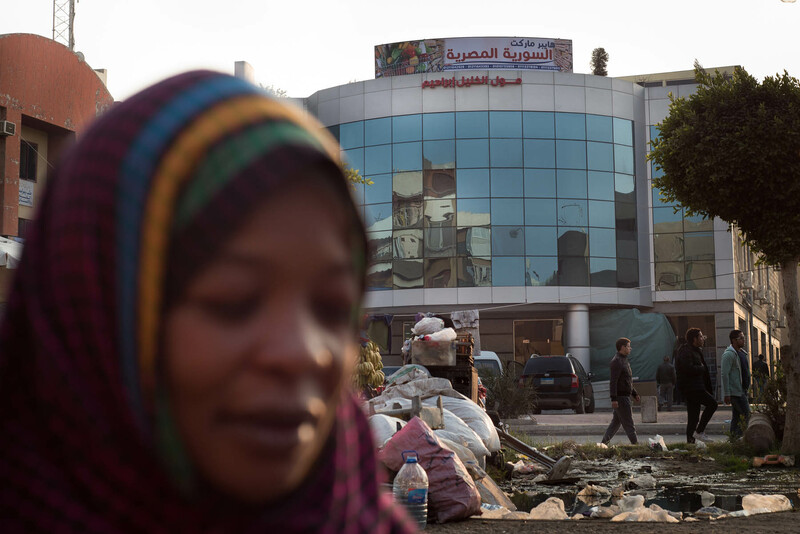 A week after the dispersal of those in the garden, a new supermarket to the left of the UNHCR office had a large opening party. One of the refugees suggests this is the reason they were kicked out of the garden. Saeeda and Nawal’s fingertips are always visibly decorated with henna. “People just look at my hands and they know I’m a hannana (henna artist),” Nawal says. Makboola, one of Saeeda’s five children. 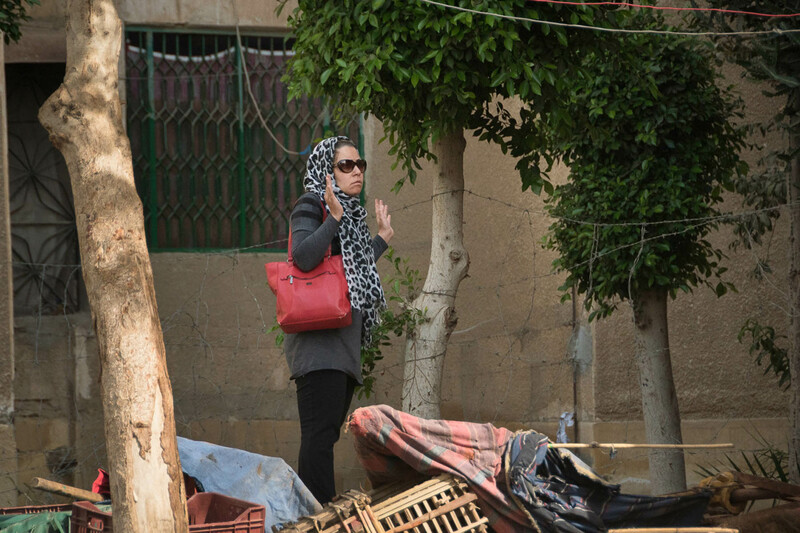 Saeeda wanders around looking for customers near Hussein Mosque. 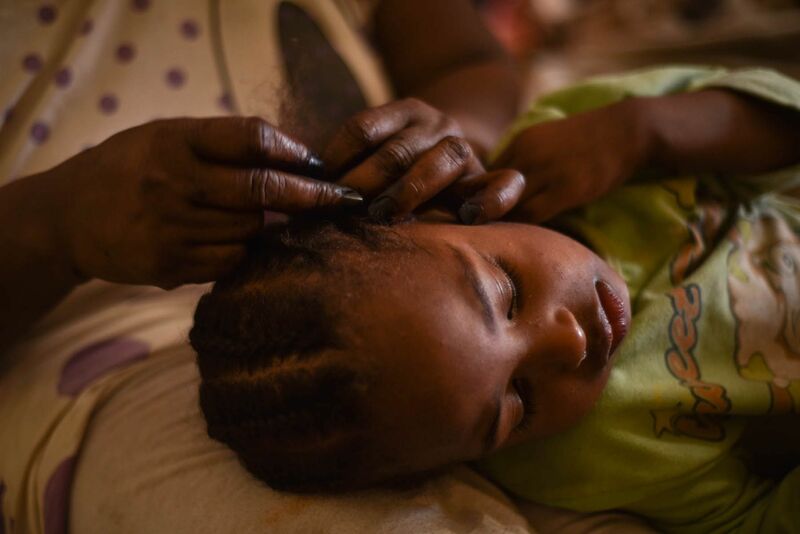 Saeeda fixes her daughter Ekram’s hair before going off to work. Makboola goes downstairs to run a few errands and buy things from the market for her siblings. Amoona, 11 years old, is the eldest of Saeeda’s children. When her mother is away, Amoona is in charge of taking care of her siblings. 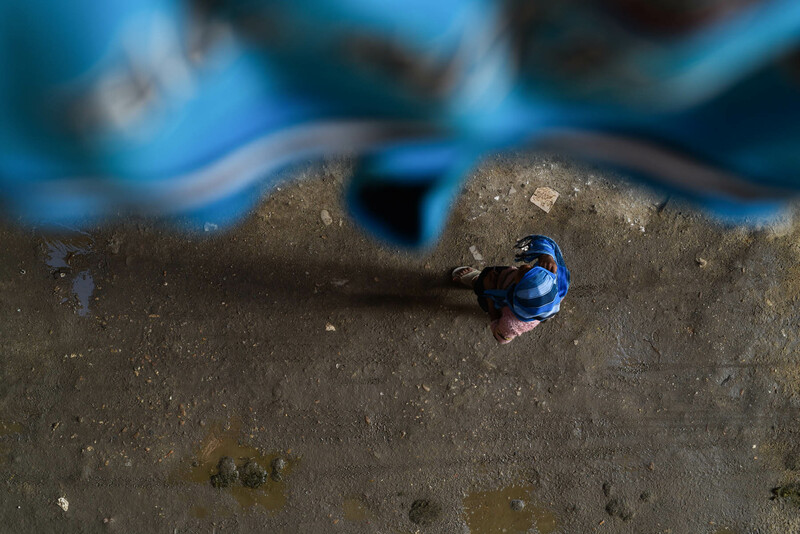 After being forced out of the garden, many of the men moved to an empty desert space nearby, behind the UNHCR. They complained that it was even more uncomfortable and cold than the garden. 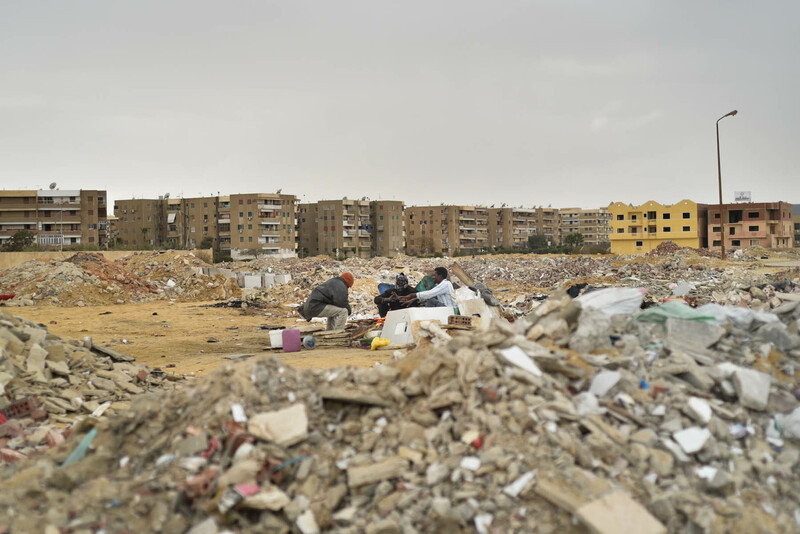 While the women mostly work near Hussein Mosque, or as domestic workers in 6th of October City, many of the men work in nearby cafés or as furniture movers.